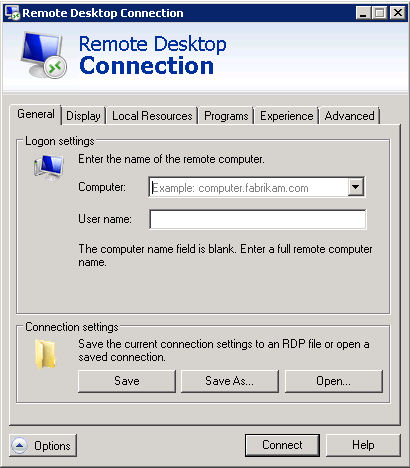 In virtual environments based on Remote Desktop Services (RDP) like RemoteApp or XenApp, you’d require to auto apply some of the settings or customize the default behaviour of an RDP dependent session. 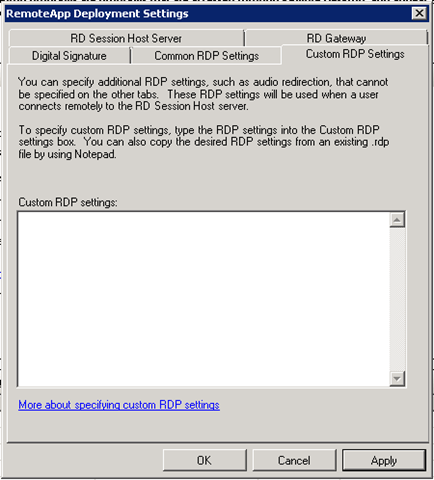 In this article you’ll see how to find the allowed customization settings for RDP and where to configure/discover them. Thus you’ll be able to Specify Custom RDP settings for Virtual Environments. 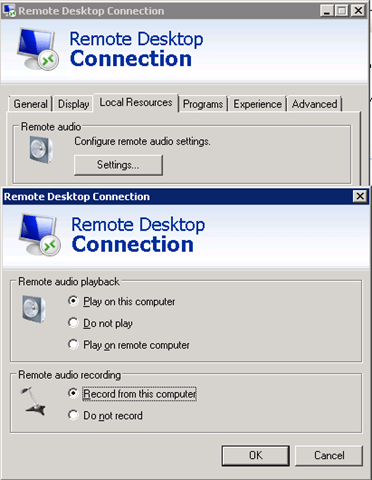 Scenario: Lets say you are configuring an application that has audio interaction to be launched from RemoteApp session. 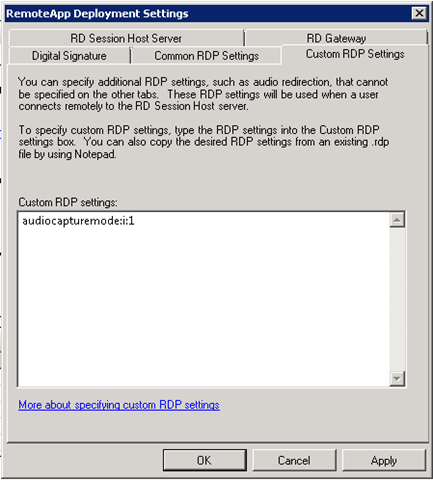 By default the Audio for RDP settings is set to be not redirected to the client session limiting audio in RemoteApp. However, RemoteApp allows you to specify any custom RDP settings that have to applied for the RemoteApp sessions. Navigate through the each of the settings, make changes as needed. The rdp file contains the list of all the allowed custom settings for RDP connections. ⟵The Sentinel64 service failed to start due to the following error: The system cannot find the device specified.